Finally, a townhouse that can be called 'home' hits the market in Harlem's Mount Morris Park Historic district. This completely gut-renovated, over 4000 sf spectacular townhouse is designed as a proper home. This home includes an owners triplex and two (2) studio apartments on the garden level. Each studio apartment has a separate entrance for tenants of your choosing or you can simply rent these two lower level studios for added income. Additionally, both studio apartments have their own washer dryer and outdoor area that maintains the privacy of your own outdoor living space. 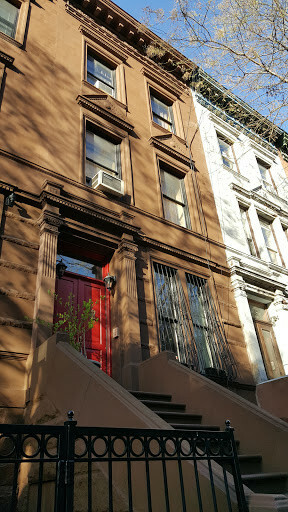 The owners triplex is what you have been waiting for; when you arrive at the main parlor-level entrance of the brownstone, you open the front door to an open design concept, new staircase, and plenty of light and air. You will enjoy four (4) full bedrooms plus an additional bonus-room on the top floor which is the size of a bedroom, two-and-a-half bathrooms, a home office, a balcony and a dedicated laundry room. This design is what the original Harlem architects desired from these suburbia town homes. The master bedroom has a large walk-in closet and an amazing master bathroom. The natural light (some southern exposures) are exquisite throughout this entire home. Access your enormous private landscaped garden from the parlor level, or if you are feeling warm and friendly, you have the option to share the outdoor space with your au pair, relatives, or tenants below. This 2002 gut-renovated legal 3-family with a certificate of occupancy has been owner occupied and includes new electrical, plumbing, and gas systems, as well as new mechanical systems added during the renovation. Enjoy central air conditioning on the parlor floor, as well as window units in the bedrooms. Located in the vibrant and highly sought after Mount Morris Park Historic District it is convenient to retail giants such as Whole Foods, Gucci by Dapper Dan, and Starbucks along with Marcus Samuelsons historic Red Rooster restaurant. In addition youll find coffee shops, boutique restaurants, and of course the separate corporate headquarters of Harlem Property Management and Harlem Lofts. Nearby transportation includes access to all points Manhattan, the Bronx, and Queens with the 2/3 subway at 125th Street, the 1-train at 116th Street, the 4/5/5 subway at 125th St. and Lexington Ave. and the M2, M3, and M60 select bus service to LaGuardia Airport. * Cellar contains adequate head height (over 8-feet) for renovations. * All measurements to be confirmed by buyer. * All information is gathered from a third-party source and is deemed reliable.